This morning, on the way to school at 6:30 AM, my daughter (who will be 16 years old tomorrow) sounded like a writer. And this writing mama’s heart grew two sizes bigger. I’ll set the scene. Sun was just rising, outlining cotton ball clouds with rims of light. It seemed like precious rain might be in those clouds, just waiting for the right moment to fall. We live along the California coast so not many leaves turning yellow, red and gold here, but in the last couple days we can surely feel the season changing. The summer fog is lifting and we can see Catalina Island peaking out of low clouds on our early morning commute. 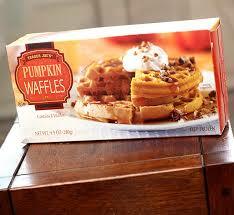 And then, of course, the best signal of fall’s arrival are the Trader Joe’s pumpkin waffles that Anna was eating as we twisted and turned round Palos Verdes two-lane roads. Lucky for Anna, we arrived at school and she was able to escape her enthusiastic and inspired mama. The entire way home, I couldn’t stop thinking about our brief exchange. It was kinda what I live for as a writing teacher: sharing observations about those ordinary moments when we notice something magical and extraordinary within the outlines of our day in and day out lives. Those moments add another layer of meaning. They add spark. They connect us to other humans when we share them in any way we choose whether they are crafted into a poem, or casually mentioned on the way to school in a mom van. For years, I lamented about the Writing Teacher’s Curse - this is the curse that says your own kid won’t want to take any of your writing advice - or do any of the darling writing recipes that everyone else adores. It’s kinda like being a preacher’s kid. Ever since she was in kindergarten, Miss Anna had nothing to do with all my writing stuff. And in an unexpected move on my part, I chose not to fight that battle (my friends will attest that I complained a lot!). We just kept reading and noticing, talking lots about all our noticings, and I was super stealth and wrote a lot right in front of her pretty little face. I went on faith that would be enough - even if she never scored amazing writing teachers in school. Well, that girl is a writer. She writes to relax. She writes to escape. Without any overt prompting from me, she’s using writing as a tool to make sense of life, but most of all, she’s walking around with a writer’s state of mind. She’s noticing what others miss. For sure, not all the time, but there are glimpses - like this morning - that she’s building a habit of paying attention. Another reason I got so thrilled this morning was because our conversation supports a hunch I’ve had for years. If kids are around adults who live with a writing state of mind - always on the prowl for ideas, always noticing, always talking about those noticings at the dinner table - it’s contagious. Noticing parents beget noticing kids. And noticing kids are much more likely to use writing as a tool to make sense of life. So today, while driving around town at zero dark thirty in my pajamas and bad hair, I was blessed with an image of a young woman standing on our planet, noticing the sun and moon sharing the same sky, noticing that she was one tiny point in a perfect triangle. Those moments, when I look up into the sky, always make me feel small and humble in a good, good way. And for a moment yesterday (when she was supposed to be paying attention to her band director! ), I think my girl knew that feeling, too. And those moments are even better when I get the chance to talk about them with my kid. Have a great day - and look up for a moment. Tell someone you love what you notice.